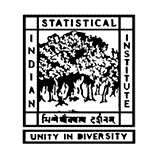 Indian Statistical Institute (ISI) Previous Question Papers, ISI Office Assistant Model Question Papers, ISI Civil Engineer Question Papers – Indian Statistical Institute, Kolkata, has published a recruitment notification to fill up Office Assistant-A posts and other posts to fill up at Kolkata, Delhi, Bangalore, Chennai, Tezpur, Hyderabad and Giridih on Direct Recruitment Basis. Interested and eligible candidates may apply online mode by visiting the official site of ISI before the last date. Applicants also check other details related to ISI Recruitment Notification 2017 like how to apply, selection process, Previous question papers, syllabus and more details are given below. The Selection Process of ISI made on written exam mode, so every candidate who is preparing seriously they must and should need download old question papers of ISI Office Assistant, Solved Question Papers, Model Papers, Syllabus, QUestion Paper Pattern to get a high score in the written exam.